Today I share a project with you that uses some recently retired card stock and DSP, but I love these colours and miss them lots. Coastal Cabana is the main colour here, with Smoky Slate and Silver Glimmer card, but these projects can be made with anything you may already have at home! 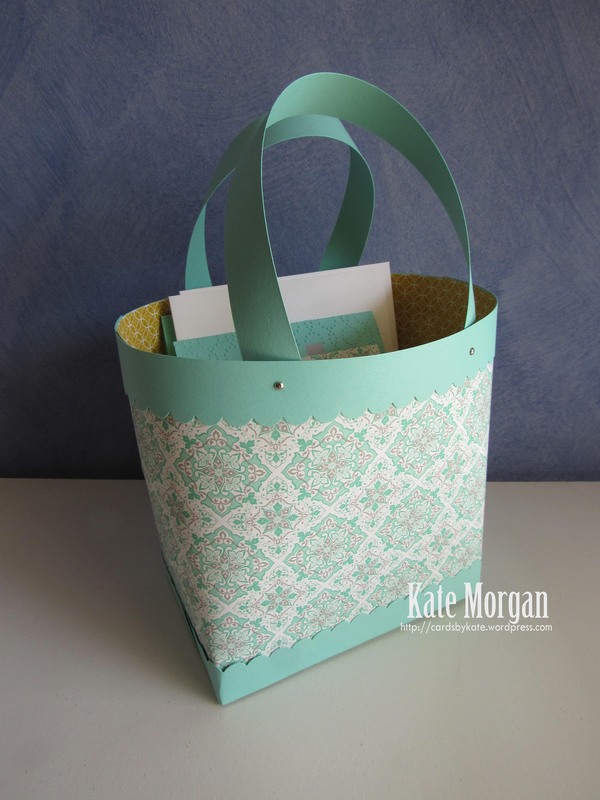 This cute bag uses only 1 sheet of DSP and A4 card stock. Ho cute is it? Inside you can see some A5 cards and matching C6 envelopes. 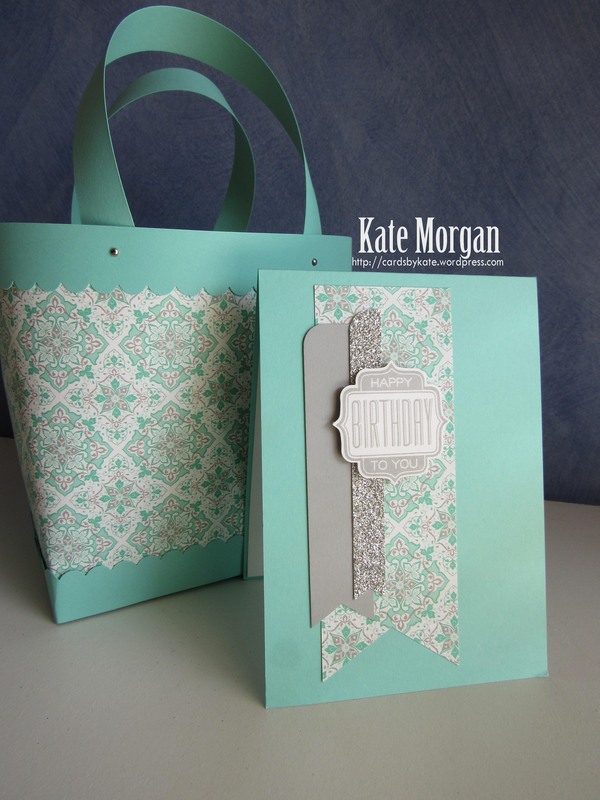 It is so sturdy and quite large, as it will hold 10-12 cards depending on the amount of embellishments on the cards. Here are two of the coordinating cards that I made to go inside. This would make such a cute gift idea!!!! Please leave a comment below if you like my project today.